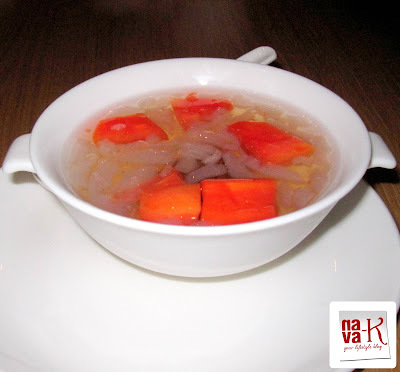 What's my food story for dining in Di Wei Chinese Cuisine Restaurant? Friendship bonding. Bond built over the years and still intact though my two friends have migrated to Saudi. And when they returned to Malaysia for a holiday, we making it a point in meeting up. Great good friend mind you. Really sincerely unlike some of our back stabbing friends? Of course, we Malaysians like always, must usher friendship with food. We sure did on this day for lunch. Lunch in, as I have already told you, in Di Wei Chinese Cuisine Restaurant. Quite a posh Chinese restaurant. 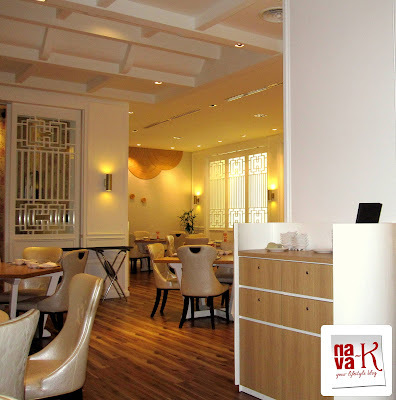 At least for us, and offering a vast variety of dishes. Ambiance wise, must be said as Chinese classiness. What did we order? 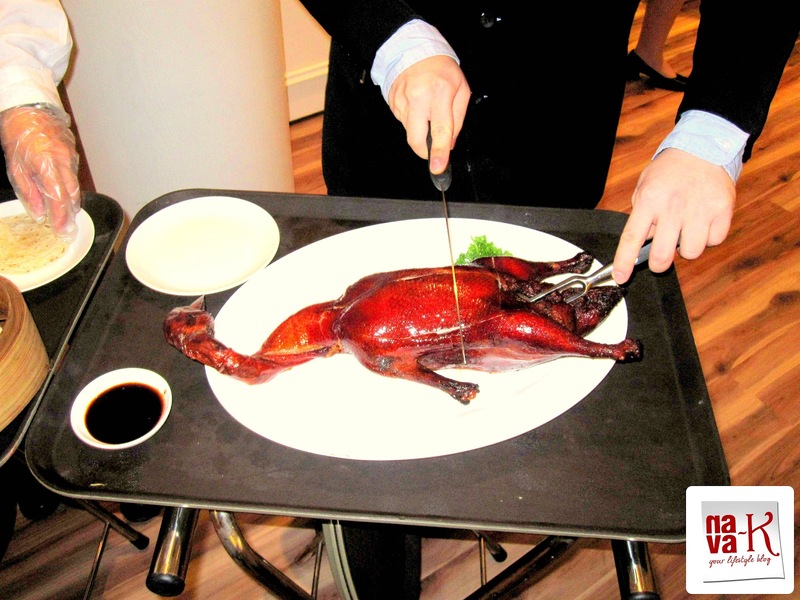 Peking Duck on promotion, Tempura Fried Veggies, Fried Chicken Wing, White Fungus With Papaya and Steamed Custard Cake. Something different for starting us of in Di Wei Chinese Cuisine Restaurant unlike the standard serving of peanuts in other Chinese restaurants. We had pickles. Nice. 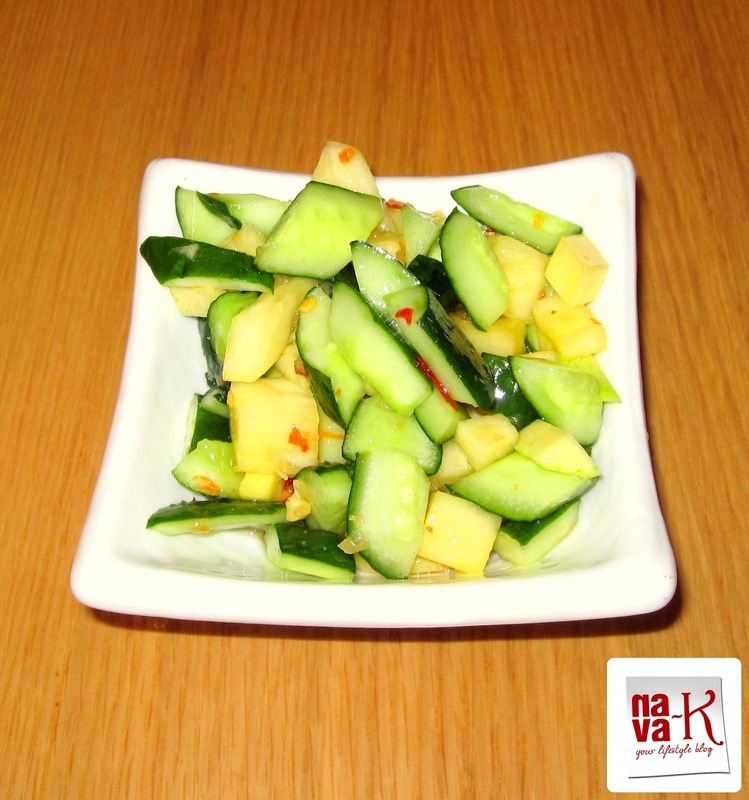 Tadbit of spiciness and sour sweet cucumber and pineapple. Loved. 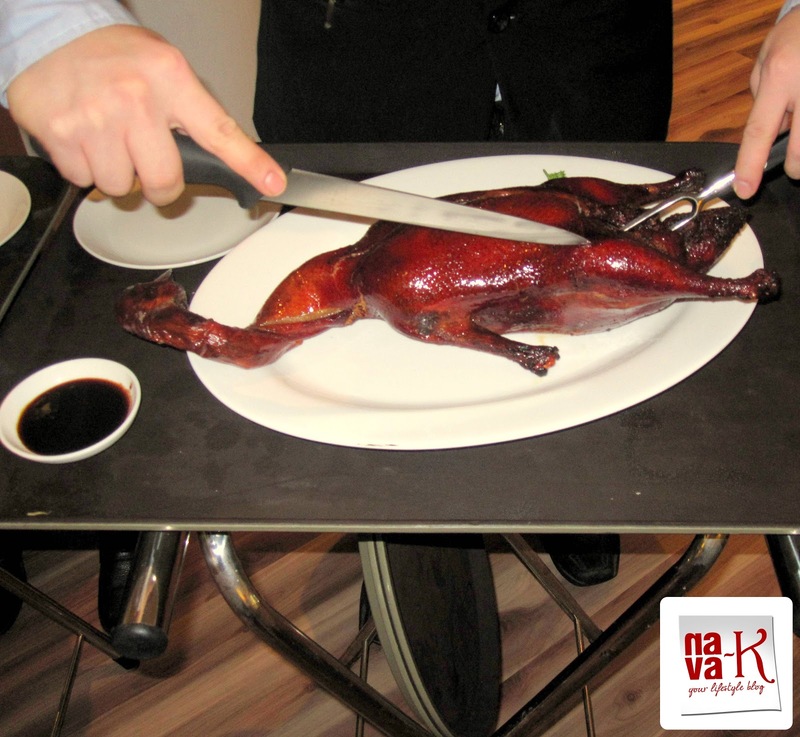 Next, we tackled the Peking Duck. The whole bird coming to our way and sliced in front of us prior to us tucking in. Heaven. 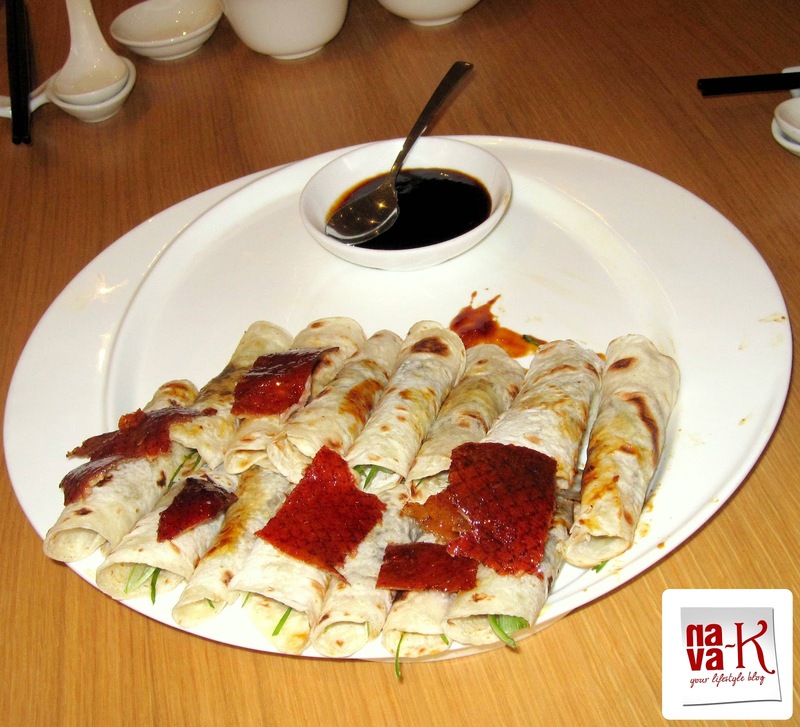 Soft, tender meat, whether dipped into the dark sauce or not. Oh, yes. 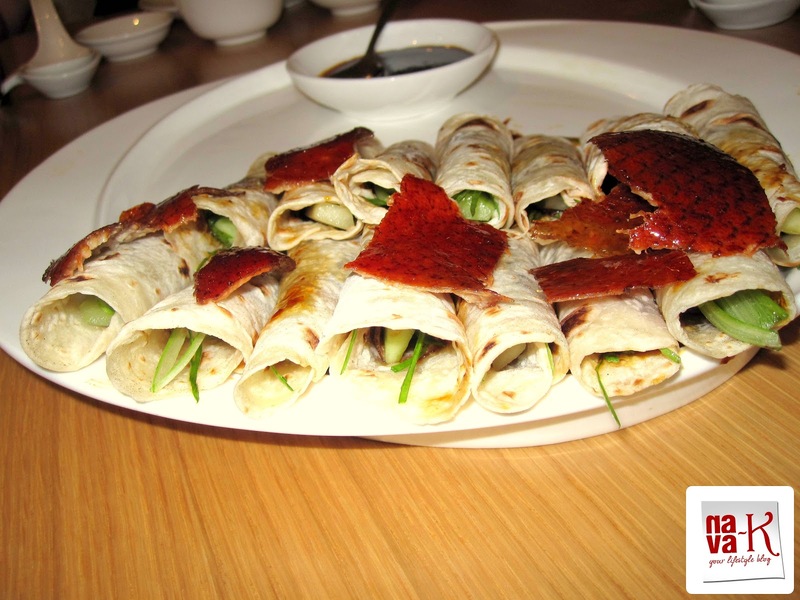 You can tuck into the duck meat by itself, or roll it in the flat pancakes before tipping in the dark sauce. Also atop with scallion and salad leaves. 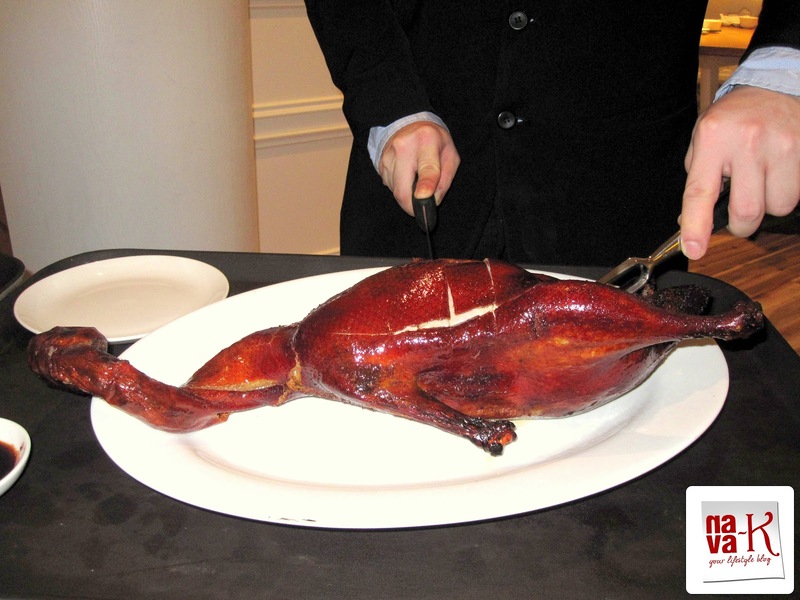 Not to forget, the crispy duck skin. Whichever way. There's no right or wrong rules. Whichever you want to put first or thereafter before rolling the pancakes and tucking in. Again said, a delight. More of the duck meat on the bird itself? To the kitchen prior to making another dish out of it. 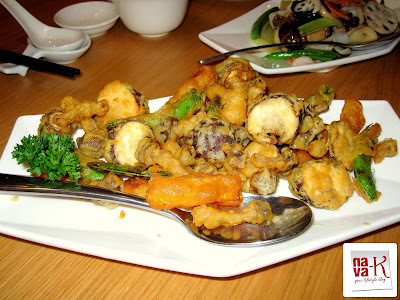 Meanwhile, we tackled the tempura fried veggies. An assortment of batter coated and crispy fried veggies. How? Not a major winner neither a major loser. Just across the board. Up next? 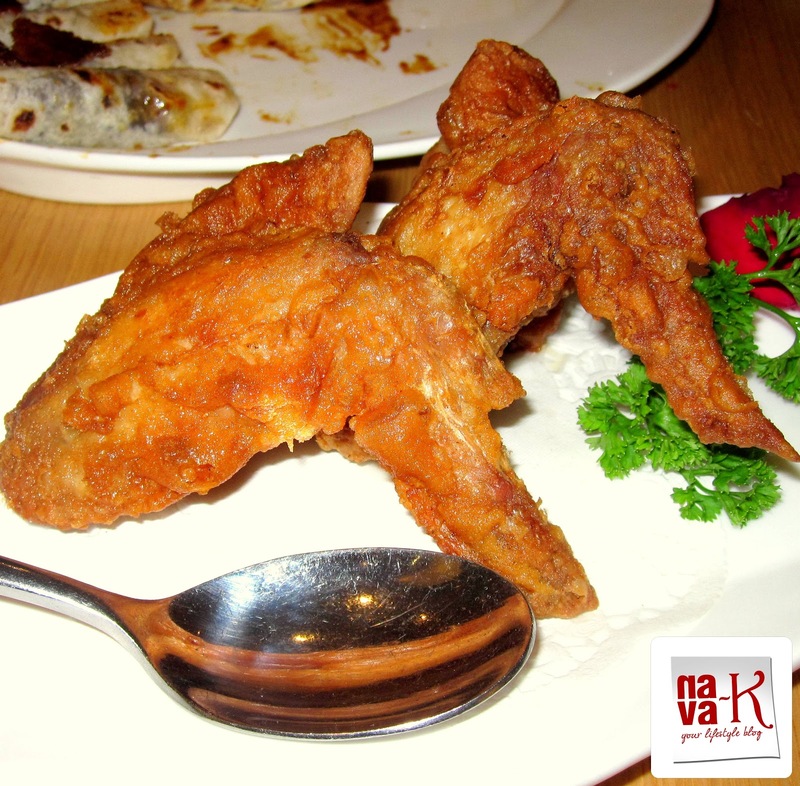 Crispy on the outside and tender meat inside fried wings. Appreciated. Sincerely. The minced duck dish. Remember I told? 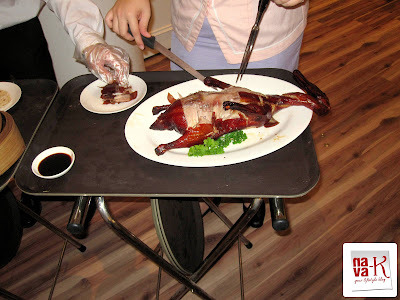 Balance of duck meat for converting into another dish? That's right. 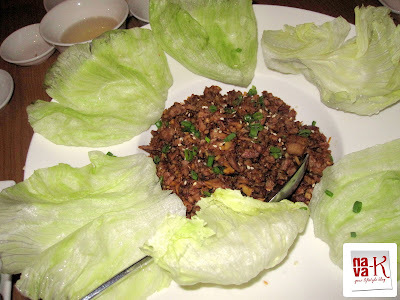 Some of the minced duck atop salad leaves and into your mouth. Not bad. Our dessert? Chilled and white fungus cooked along papaya? My-My! Such a smooth operator. 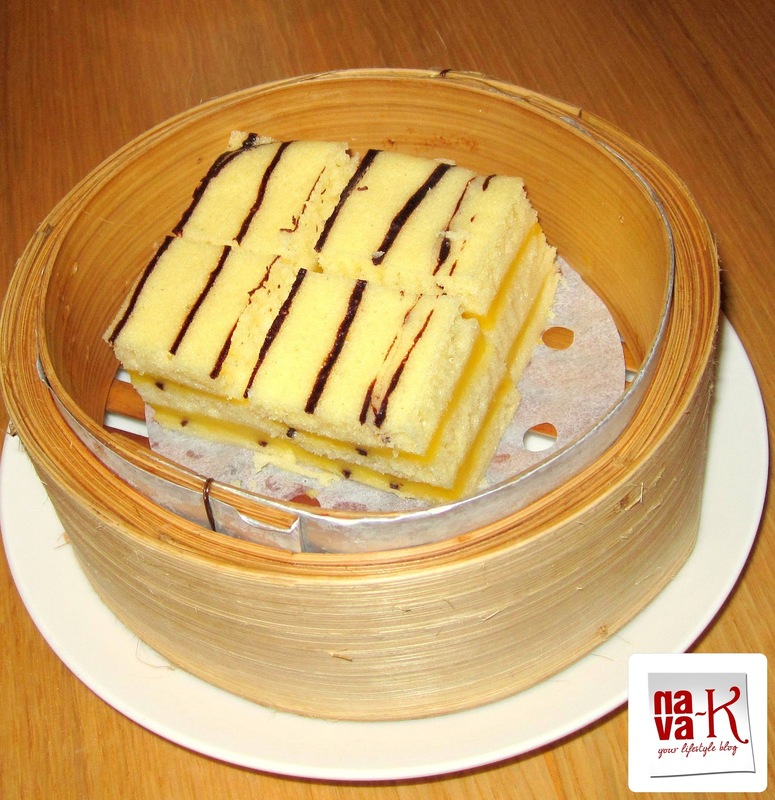 What about the steamed custard cake? Can be praised. Price wise? What do you think? RM225.00? 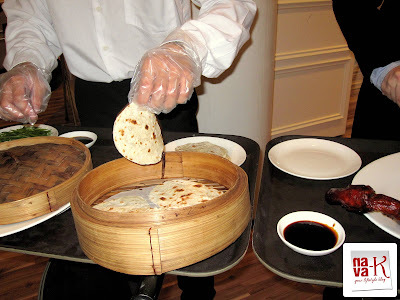 Really expensive or worth paying for the dishes we tucked into? 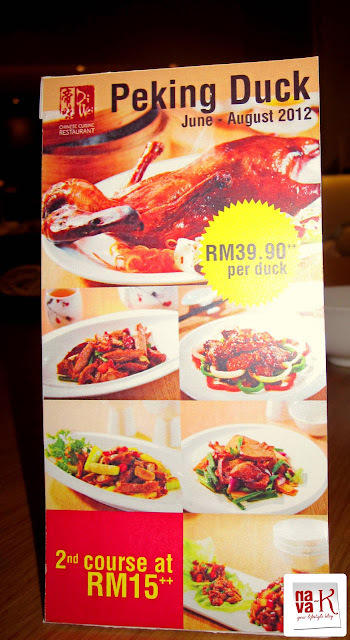 Whoa, order so many food all together only rm150?? i was surprise cause i also thought all should be 200++ like that, he he he cheaper!! and all the food looks delicious!!! oh u got it back to old format. I like peking duck! The crispy skin is so shiok! There are many yummy looking elements! 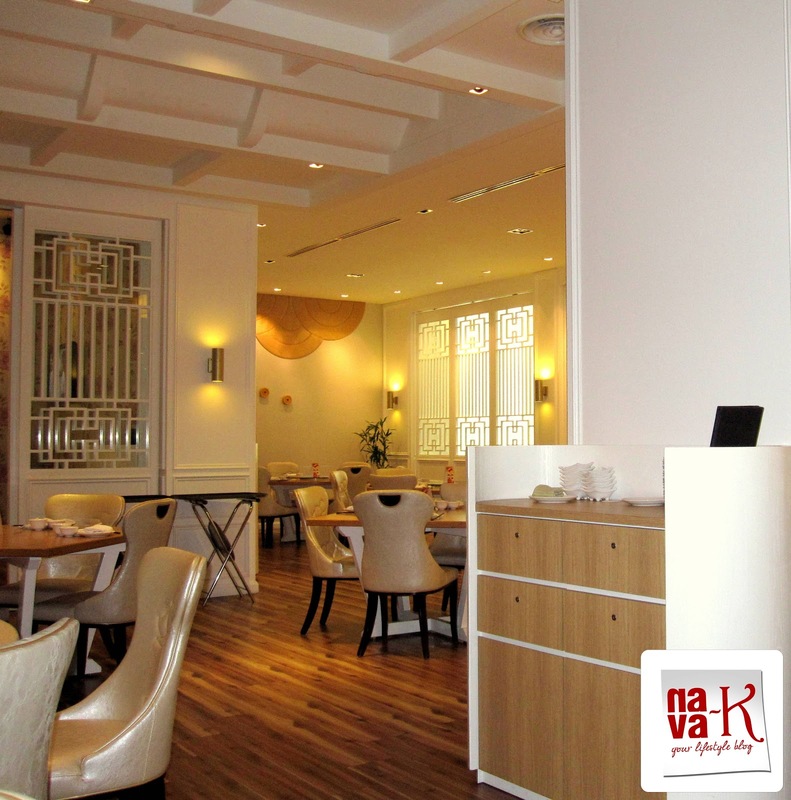 Hi Nava, thank you for dining at our F&B outlet. Amazing place to have a great meal.